Put on your red, white and blue and come out for an evening of Patriotic Pops! Join us for a fun, outdoor evening concert. Bring your lawn chairs, blankets, family & friends to enjoy an evening under the Kentucky sky. 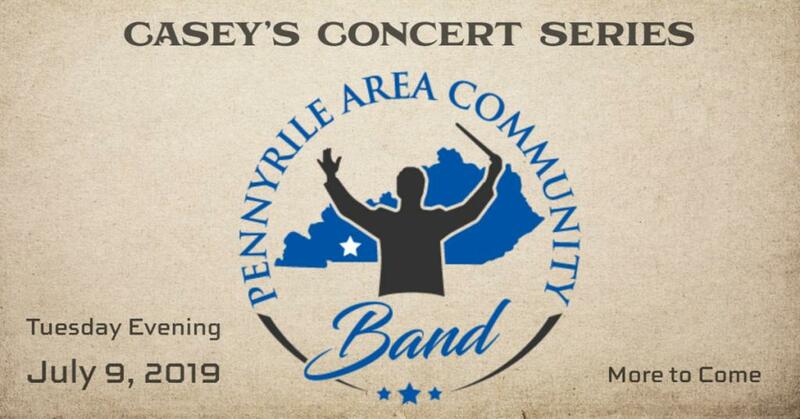 Tuesday, July 9, 2019, Pennyrile Area Community Band, our local concert band featuring your friends and neighbors on woodwinds, brass & percussion, led by local conductor Scott Estes, are giving you a family-friendly performance of your favorite patriotic pops selections on the lawn at Casey Jones Distillery. Bring your lawn chair, come early & come hungry. Food Trucks on site. Plus, Casey’s Lounge will be open with beer, wine and cocktails. Tours and tastings during regular hours. More details to follow closer to concert.